Is thinking about Halloween candy and its effect on your children’s teeth have you worried every year around this time of the year? Don’t be discouraged — our Rancho Cucamonga Dentist say you can be mindful of your child’s health and still let them enjoy the special occasion. The decay process in teeth typically works like this: The majority — about 90 percent — of all foods have sugars or starches that give bacteria in dental plaque, an opportunity to develop acids. This attack by bacterial acid, lasting an average of 20 minutes or more, can lead to a loss of tooth mineral and, eventually, to cavities. Our Rancho Cucamonga Dentist will often tell you that a child who licks a piece of hard candy every few minutes or sips a sugary drink is more susceptible to tooth decay because long-lasting snacks create an acid attack on teeth the entire time they are in the mouth. One way to solve this is to allow your children to indulge in Halloween candy at mealtime instead of as a snack. Or select the correct kind of snack. Dentist In Rancho Cucamonga say that sticky foods clear from the mouth quicker than less sticky foods — presenting a shorter acid attack on the teeth. Caramels, for example, dissolve more quickly than crackers, breakfast cereals, potato chips, dried fruit and bread. 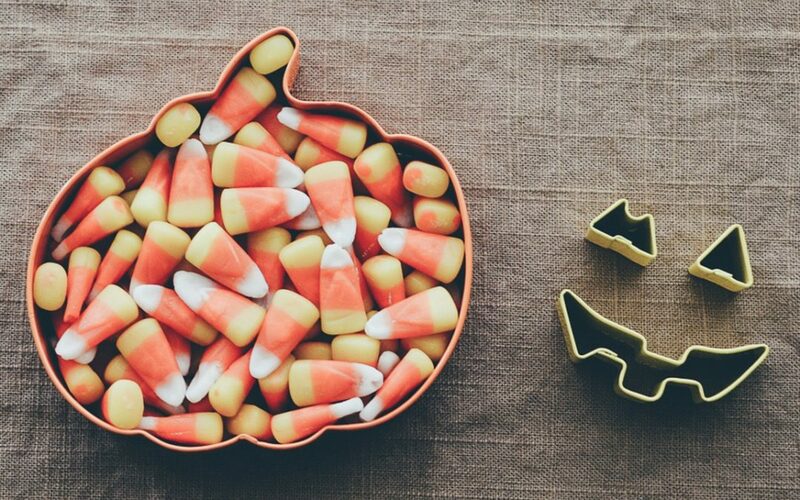 Another alternative option with Halloween candy is to allow snacking right away after trick-or-treating, then throw out the remainder. 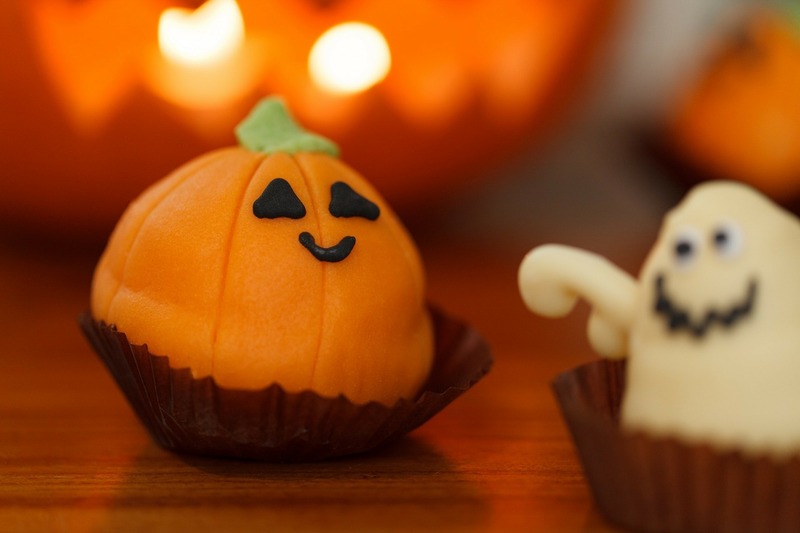 Always remember that depriving your child of Halloween treats will only make him or her want them more. Snacks should not be served more than three or four times a day and should contribute to the overall nutrition and health of the child. Healthy snack decisions include cheese, yogurt, vegetables, peanut butter and chocolate milk. Most of all, our Rancho Cucamonga Dentist’ say that you should try and practice exceptional oral health by making sure your child brushes and flosses daily, uses fluoride toothpaste and visits their local Rancho Cucamonga Dentist routinely.